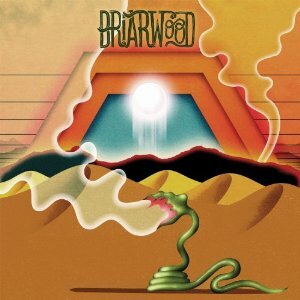 Last year saw the release of James Jackson Toth (aka Wooden Wand)’s highly praised album Briarwood. Now Fire Records is releasing a double disc deluxe edition filled with eight demo versions of album originals. According to the prolific Kentucky-based folk rocker himself, he’s “been cursed with a bad memory, so if I do not make a demo of a song, I will forget it.” Now these demo versions, worthy of their own album, are thankfully being shared with the rest of us. The demo versions, recorded on a Roland BR1600 digital eight-track, share little resemblance to the album tracks. For the album Toth let the acoustic guitar have a rest and gathered together a group of musicians — labeled The Briarwood Virgins. This collaboration resulted in a dirtier, bluesy rock sound than on former lo-fi aestheticized albums. On the demo versions we hear songs that stylistically are more in tune with Wooden Wand’s predecessor, 2010’s dark affair Death Seat. The demo versions display Toth’s immaculate songwriting skills while stripped down to their bare essentials. Moreover, they serve as a reminder of what an extraordinary band he’s got behind him on the album.